Directed by Thomas Vinterberg. With Léa Seydoux, Matthias Schoenaerts, Colin Firth, Max von Sydow. 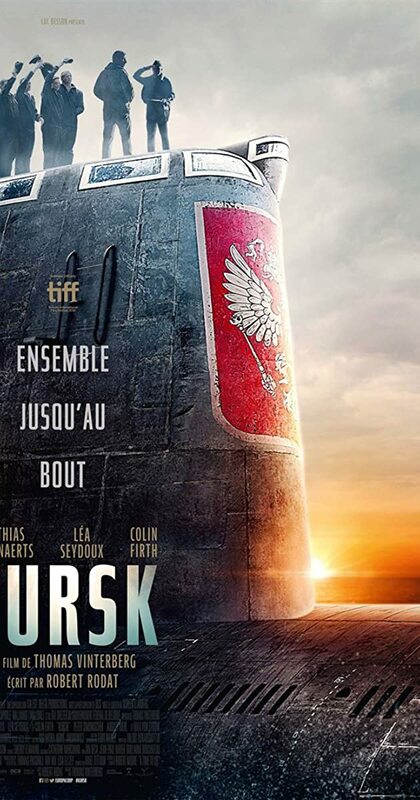 The film follows the 2000 K-141 Kursk submarine disaster and the governmental negligence that followed. As the sailors fight for survival, their families desperately battle political obstacles and impossible odds to save them.